The clay soil that is used in forming jars is usually sticky and waterlogged. Here, a man forms a jar using his hands. He carefully sculpted it while a potter's wheel, where clay is placed, is continuously spinning. 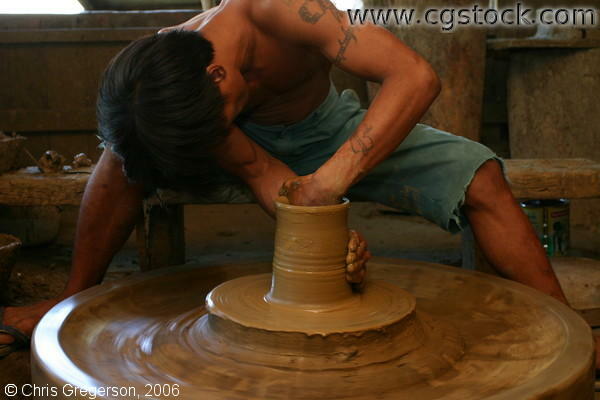 Pottery making is an artwork and at the same time a good business.